Vortex is a revolutionary product for children. 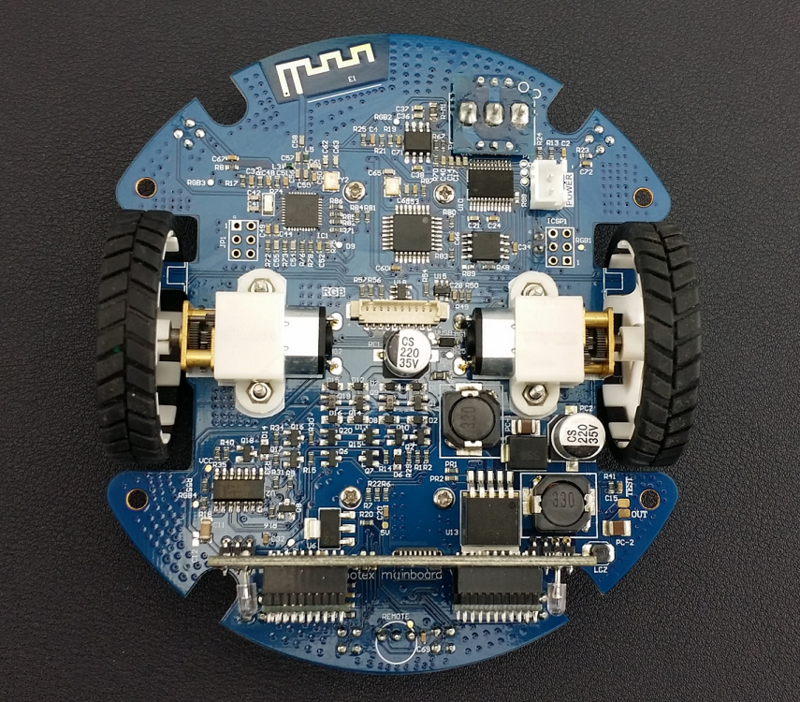 It is a smart and responsive robot that kids can play with and program. Using the Vortex and apps, kids can play different games, learn about robotics, and even create their own. In this Tutorial, we we'll introduce vortex hardware features and teach how to program your vortex robot via Arduino IDE. 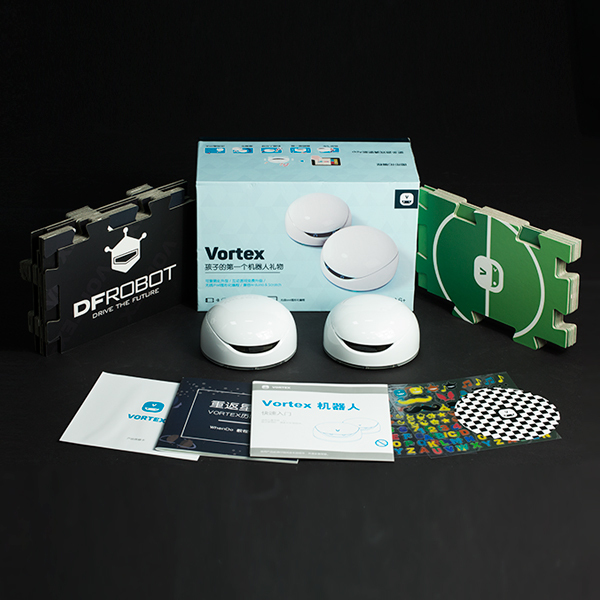 Vortex is a programmable robot based on Arduino open-source hardware. There are 2 kinds of programming methods: USB or Bluetooth wireless programming. USB programming requires a micro USB cable only. Unscrew the screw and open the USB programming port. Turn on Vortex power switch, and plug in the Micro usb cable, it will install the driver automatically if you have installed Arduino IDE. If not, you can find it in the driver file in Arduino IDE folder-->Drivers folder. There is a switch close to the USB port, make sure the trigger is close to the USB side. This is MP3 switch, we'll teach you how to add new song in the following chapter. Open your Arduino IDE, select "Arduino UNO" and right "COM port" in Arduino IDE, now you can enjoy coding. 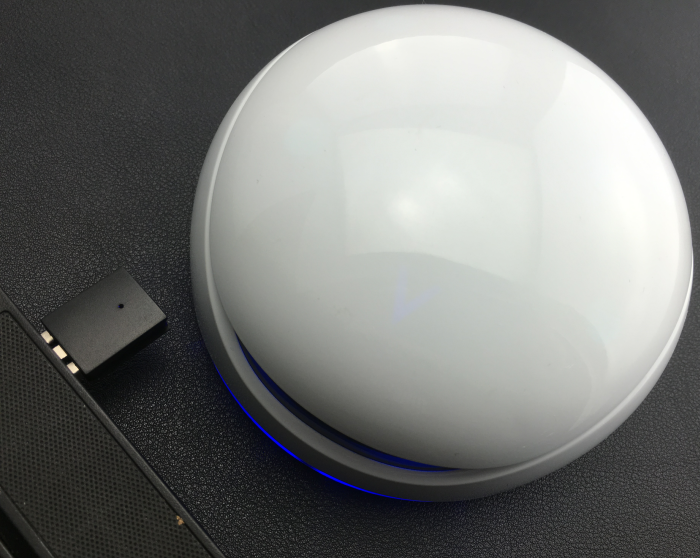 BLE wireless programming could let you get rid of the mess USB cable, and make a free real-time debugging. Plug USB BLE Link to your PC (Compatible with Windows/MAC/Linux), and it will install the driver automatically if you have installed Arduino IDE. If not, you can find it in the driver file in Arduino IDE folder-->Drivers folder. Vortex supports Bluetooth wireless communication, you can refer to the Bluno wiki page for the Bluetooth configuration and firmware upgrade. 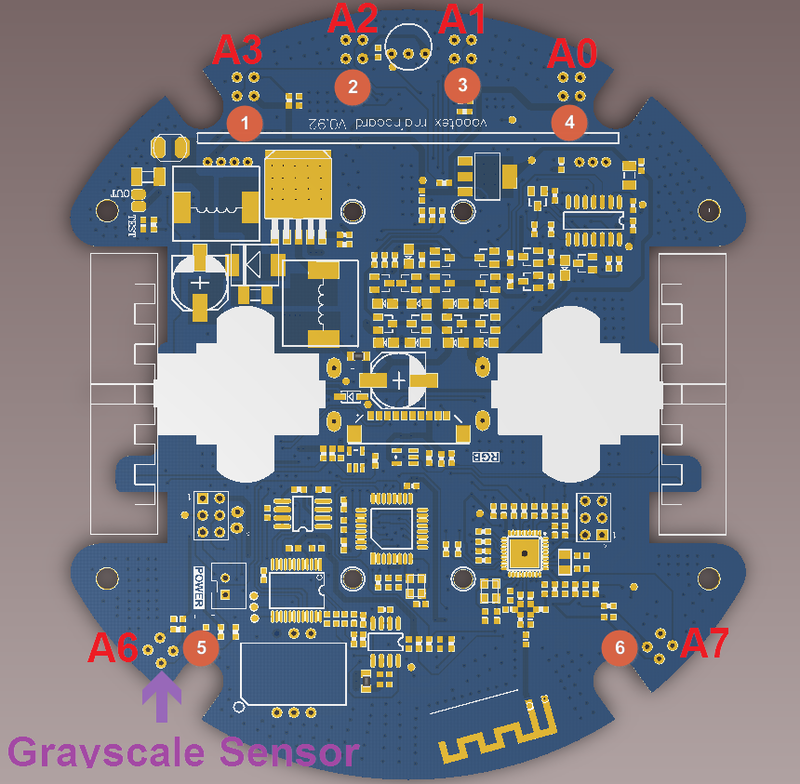 Vortex has six Grayscale Sensors around the body. Achieving two-color detection. User can make a line tracking with these sensors. The following code has separated motor part to make it more clear. It will read 6 gray value. This example show how to use Gray sensor on vortex. 2.This code is tested on vortex V1.0. Test Method You can leave a black strip in front of the Vortex, moving vortex cross the strip and checking the gray value one by one. Vortex is using 2 pairs of Infrared transmitter and receiver as its obstacle avoidance sensor. The transmitter will send 20 pulse at 38KHz frequency. Since the obstacle will reflect infrared light, we can judge the distance via the feedback pulse. This example show how to use Infrared sensor to avoid obstacles. After you upload the sample code, you can open the serial port to check the result. Leave your hand in front of the vortex, it will feedback your hand position. 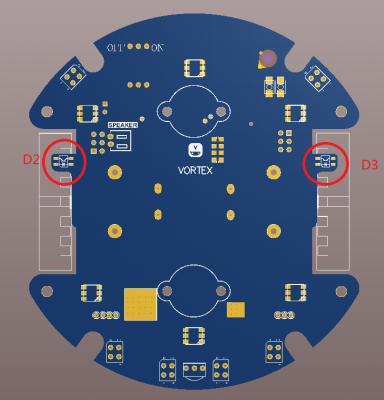 Vortex has 6+6 RGB LEDs on the board, these LEDs integrates driving IC, you can control them via single signal. This example show how to use RGB-leds. 1.This code is tested on vortex V1.0. Do you still remember the MP3 Switch in the USB programming section? There is a switch close to the USB port, make sure the trigger is close to the USB side. This is MP3 switch, we'll teach you how to add new song in the following chapter. Now here we go, we'll tell you how to replace vortex system voice with your own one. Turn the switch trigger to the opposite side (away from the USB port). Connect Vortex to your computer via USB port. and it will appear a new flash disk. Rename your voice or your song file, and put them in the disk. NOTE: The MP3 chip recognizes the file by the modified time, not its name, so you will need to rank the file again! Just cut all file outside, and move them in the disk in order. This example show how to device mp3 player. 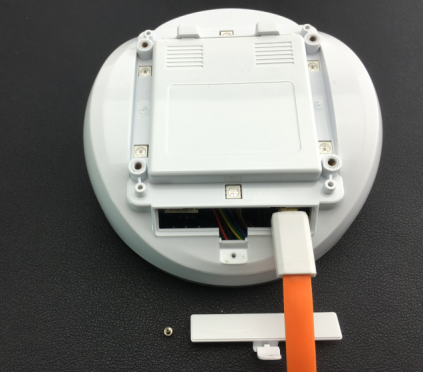 Vortex is using optical-electricity encoder. This example show how to use encoder sensor. Vortex uses two 5x5 leds matrix as its eye, IIC interface.